David Zimmerman is an amazing photographer. 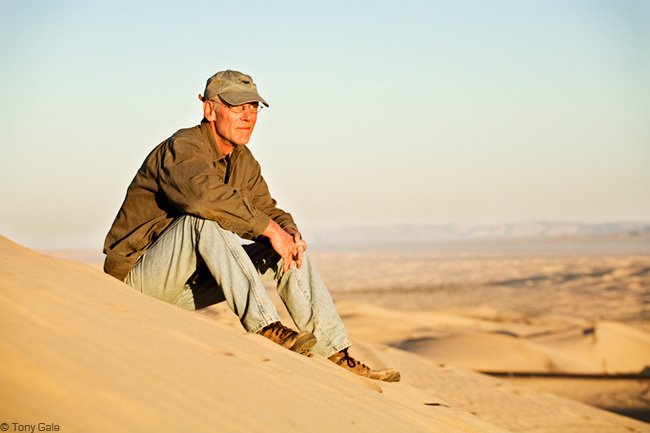 He has won numerous awards, including the 2009 L’iris D’Or, for his work in White Sands. He built a solar powered studio in Taos, NM that gets all its water from rain… in the desert! He is a pilot and built a plane from a kit. He has lived in all four continental US time zones. He is passionate about his personal projects, and on the strength of his photographs, able to get visibility and attention for places that need all the attention they can get. He is basically what I think all photographers want to be. This entry was posted on Wednesday, December 9th, 2009 at 1:08 pm	and is filed under artist, desert, photographer. You can follow any comments to this entry through the RSS 2.0 feed. You can leave a comment, or trackback from your own site.